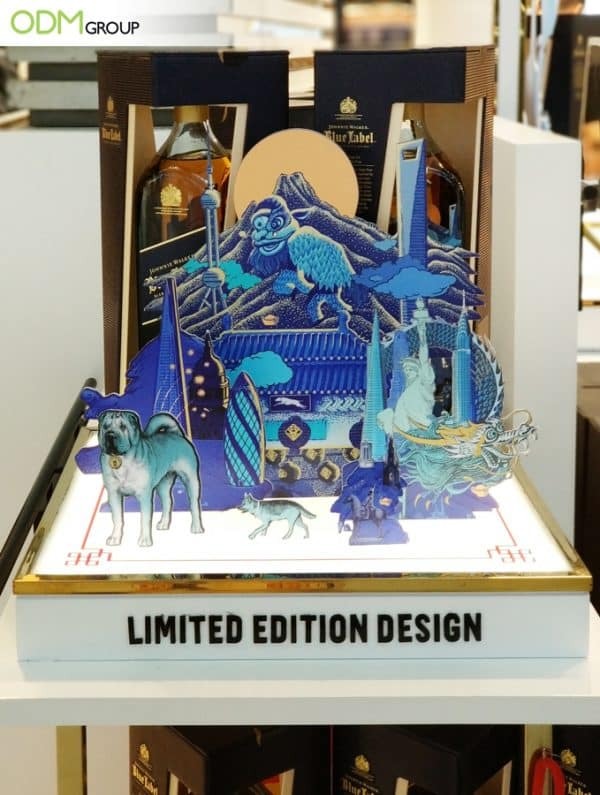 Despite being known for it’s already premium packaging, Johnnie Walker‘s Chinese New Year POS display units and custom packaging take it up a notch further. 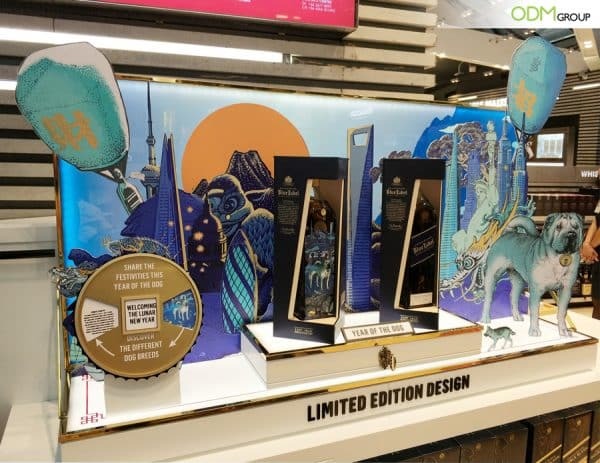 Featured in Asian Duty Free Stores at this time of the year, the brand is associated with eye-catching decorations. This POS display marketing technique has the main purpose of boosting sales. The main elements of the design are some iconic places and buildings throughout China. Since 2018 is the year of the dog, that element has also been highlighted. Besides, a wheel has been added containing information on various dog breeds. This is a good addition since it enhances the interaction with the public. Another cool feature is mentioning the unique limited edition design. This way, the product instantly becomes more valuable in the customer’s point of view. We like the wheel you can tun to get varied messages about the different breeds of Dog. This is low tech and cheap to implement, but this makes the whole experience interactive. Our favourite is obviously the pug. 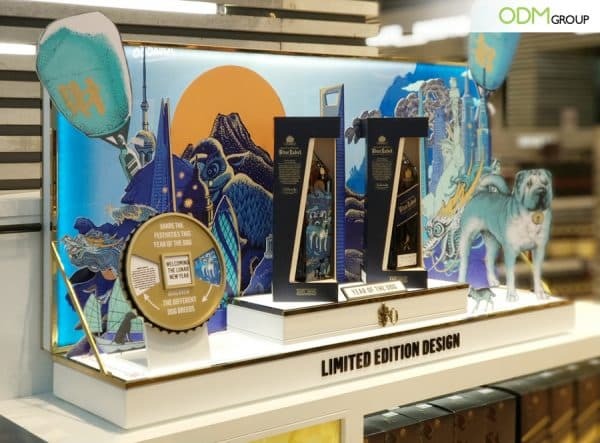 What to expect from POS Display Units and custom packaging? At ODM, we strongly believe that mixing POS Display Units with custom packaging expands your brand exposure. Also, our dedicated design team at Mindsparkz is continuously striving for new design solutions that make products more appealing to the general customers. Feel free to visit our blog to get some inspiration on new promotional products. Make the product ready to offer: Perfect for all the festive times of the year, since the packaging turns the product into a beautiful ready to offer gift. Suitable for any type of product: This type of marketing solution is available and can be done for a huge range of products, from all areas. Visual appeal: This is one of the best ways of highlighting the product. Keeping everything neat, this solution can also blend perfectly into any type of environment, it being festive or not. Looking for ideas around POS Display Units?